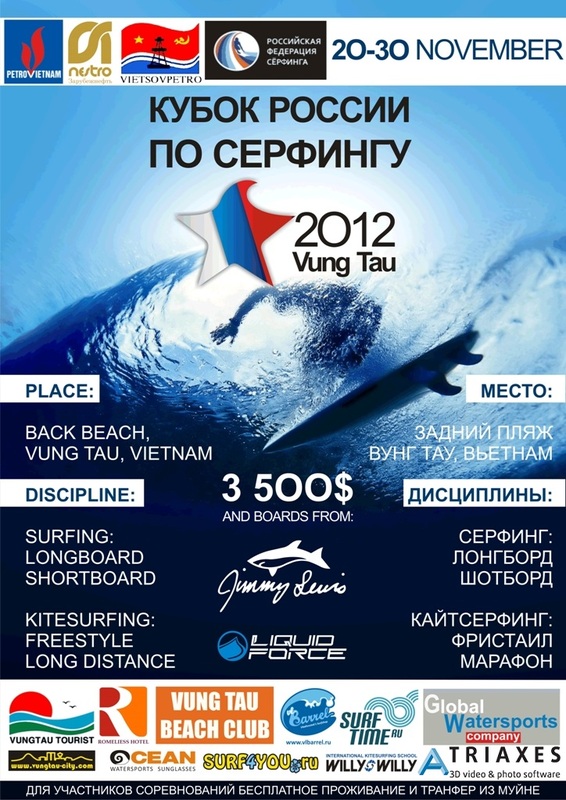 Triaxes Vision, Elecard Group and Sisvel Technology will sponsor the Russian Surfing Championship 2012 that will take place in Vungtau, Vietnam on November 26-30, 2012. Elecard, Sisvel Technology, Triaxes and Telebreeze will provide live event streaming in 3D glasses-free, 3D, and 2D formats over the Internet. The Russian Surfing Championship will gather the best Russian surfing athletes that will perform in long board and short board styles, showing their amazing skills and tricks on the water. The championship will be recorded with a professional 3D camera and streamed live over the Internet, making it possible for hundreds and thousands of people all around the world to enjoy the event online at their homes. The live stream will be available at www.telebreeze.com for the three days of the championship and will be delivered in 3D glasses-free, 3D and 2D free of charge. For the first time in history live event streaming will be organized on the public Internet in 3D format, which is compatible with regular 2D TV sets. It will be made possible by exploiting 3DZ Tile format developed by Sisvel Technology, Triaxes and Elecard. 3DZ Tile is fully compatible with both regular 2D and 3D TV sets, as well as glasses-free 3D TV sets. It brings high quality 3D streaming with horizontal resolution increased by 33% as compared to Side-by-Side format, and comes HDMI 1.4 3D and HDMI 1.4 2D+Depth support. The championship will be taking place at the Vungtau Beach Club, located at the very center of the city’s back beach and offering the best view and craziest waves. The contest area is easily accessible and well visible from nearby hotels, bars and restaurants. Be among the first ones to see this unique event!